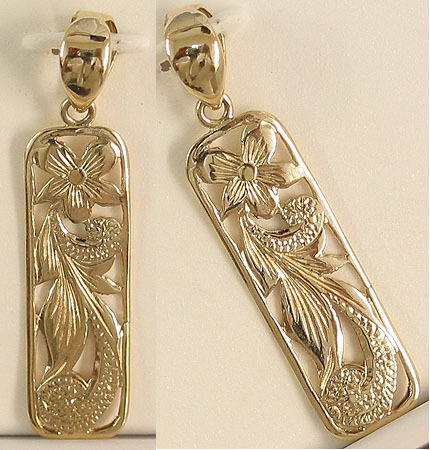 Solid 14k Gold Sweetheart Hawaiian Pendant. Length is 1" or 1 1/4" including bale. Made in Hawaii.